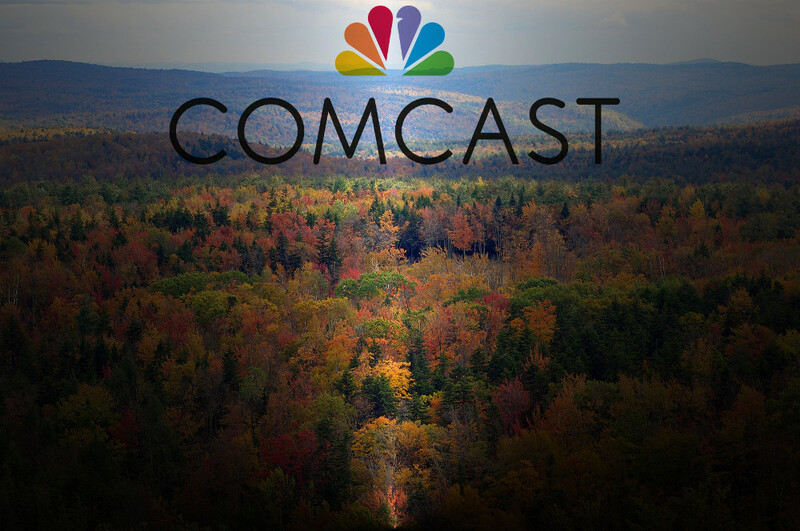 Comcast enjoys an effective monopoly over internet service in Vermont and it's about to get an 11-year extension to its permit to use billions of dollars' worth of public rights of way in the state, and in return, the state has asked Comcast to roll out at least 550 miles of new cable for "under-served" Vermonters over the 11 years. The company isn't having any of it. Despite earning $21 billion/quarter and despite its emphatic belief (backed by aggressive lobbying) that only Comcast -- and not states or towns -- should be allowed to provide internet access to remote areas, the company has sued the State of Vermont, arguing that being told to provide the internet service it has a near-monopoly on violates its First Amendment rights. In a working, competitive market, Comcast wouldn't need to be prodded and cajoled by the state to actually upgrade and expand its network. But there's simply no organic market pressure forcing Comcast's hand because the U.S. telecom market is painfully, obviously broken. As a result, there has been a growing push to explore more creative public/private partnerships to help bring connectivity to long-neglected areas. But Comcast consistently supports laws hamstringing those efforts too, allowing Comcast to have its cake (not deploy broadband) and eat it too (erecting regulatory barriers preventing others from doing so either).